R and I have been playing quite a few board and dice games now that he has got the number concepts 1-30 down pat. 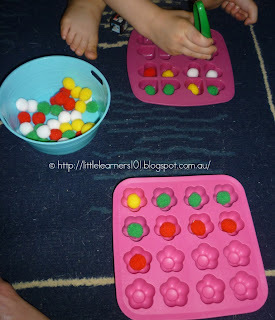 We each get an ice cube tray (these ones are from Ikea), a bowl of pom poms, tweezers for R and a dice. You roll the dice and add that number of pom poms to your tray. Winner is the first one to fill their tray. I am looking for some ice cube trays with more holes in them so we can add two dice and practice some addition and subtraction with this game. 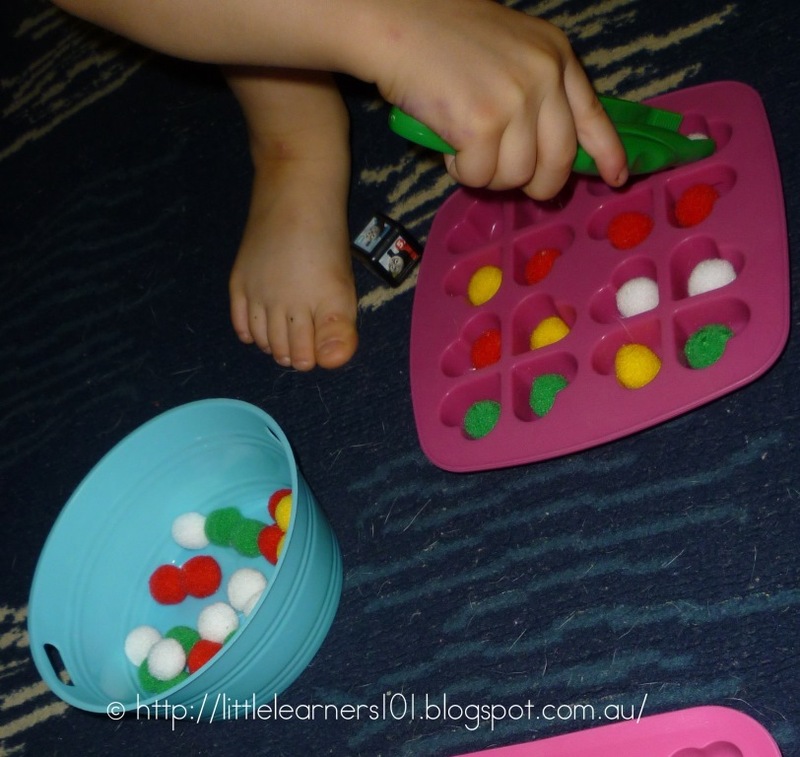 I am thinking about making some "+" and "-" inserts to use with our education cubes when playing this game. R loves this game and requests it quite often. It is a quick game that requires little set up.